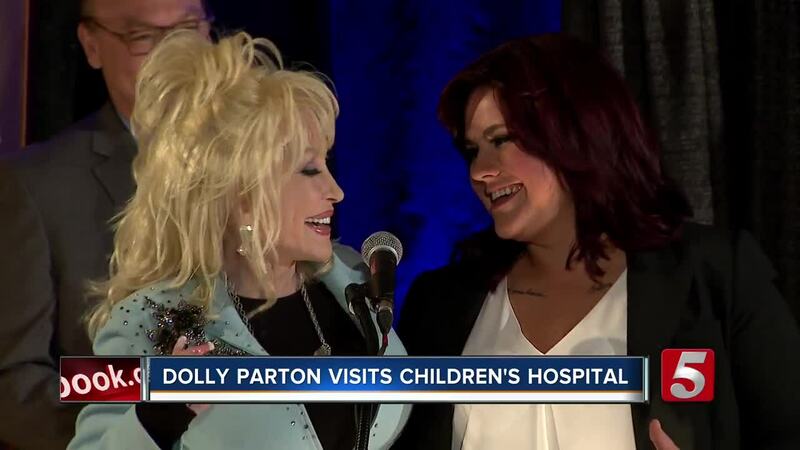 "Twenty-six years ago is when Hannah was diagnosed with leukemia and for five years we didn't know if we'd be keeping her or not," Parton told a room full of doctors, nurses, patients and families. "But Hannah now stands here as our chemo hero. She shows that miracles do happen with good care, great doctors and great nurses."